West 44th Street between Fifth and Sixth Avenues in 19 century was referred to as “Stable Street” because of the two- and three-story carriage houses that lined it. Now is informally known as Club Row because it houses the Harvard, Penn and New York Yacht Clubs. The building of the General Society of Mechanics and Tradesmen, No. 20 West 44th Street, sits on the street just across the New York Yacht Club. Society was organized in 1785. 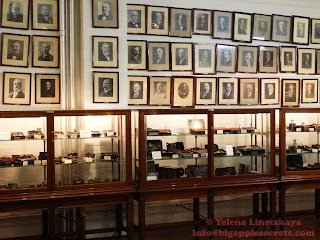 I wrote about the history of the society here. Inside the home of the General Society of Mechanics and Tradesmen is an excellent, but barely known museum of bank and vault locks. 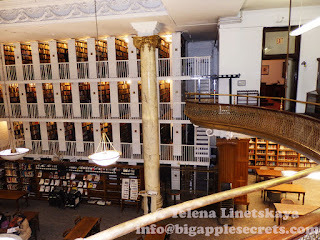 The balcony overlooking the Library’s open three-story layout with columns with golden Scamozzi Ionic capitals, an embellished frieze, and a copper and wrought iron skylight, houses the Society’s collection of over 350 locks, donated by member John M. Mossman in 1920. 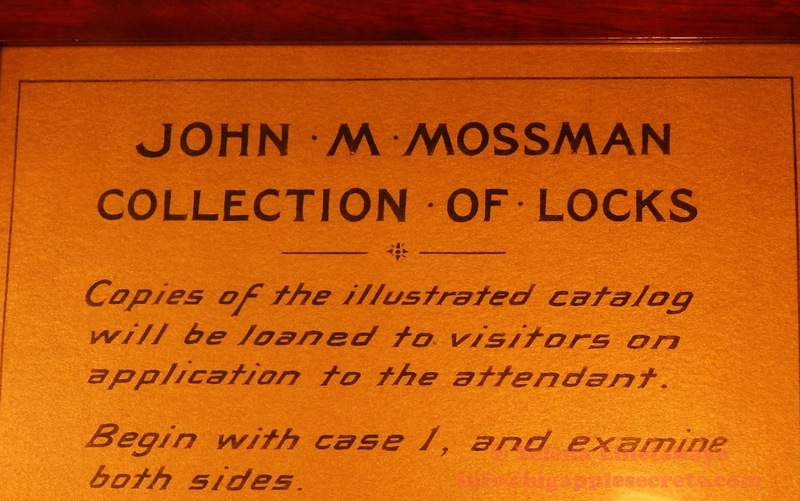 The John M. Mossman Lock Collection represents one of the most complete anthologies of bank and vault locks in the world, with more than 370 locks, keys and tools dating from 4,000 BC to the 20th century. 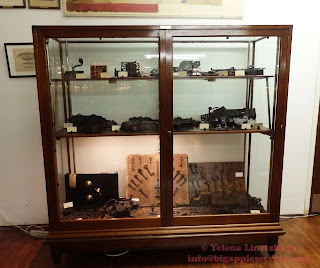 In 1903 Society member the famed Bank vault manufacturer donated to the society his collection of locks, keys and tools. Mossman built bank vaults at the New York Stock Exchange and Bank of America. Mr. Mossman's business being bank locks, especially time locks, it came to his hand frequently to replace old style locks with later one. In that way he accumulates a large collection of obsolete although highly inventive lock; locks made to order- not in commercial quantities. New York was once at the center for the lock industry, along with other hubs such as Stamford, Connecticut , Cincinnati, and Chicago. A number of the New York lock companies were downtown near Broadway and Maiden Lane, including the one Mossman founded in 1977. The most ancient artifact in the collection is the Egyptian Lock, or “dabbeh”, which is still used today within the older streets of Cairo. Many of the locks on display are unique. 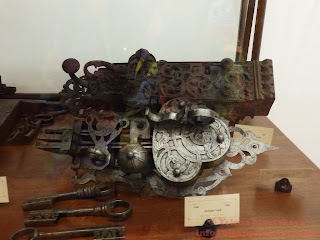 There are secret locks, a Newgate prison lock, bank locks, “A Very Complicated Lock,” a “Magic Key Lock,” combination locks and more. 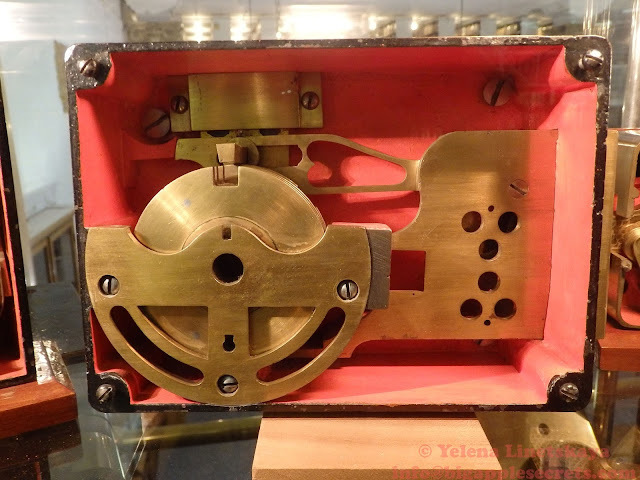 One unusual lock in the museum's collection is Fluid Time Lock (1877). 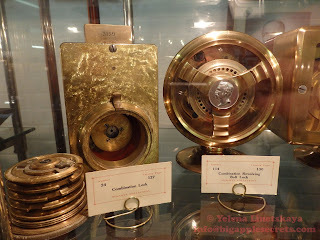 In the Fluid Time Lock there is a water clock that drips water at a somewhat regular rate thereby rotating the lock and allowing the safe lock to be open. Mr. Mossman donated his notes and scrapbooks, known as the Mossman papers, to the society. “The Lure of the Lock” was published in 1928 and describes each lock in the collection. The book has 500 pictures and illustrations that takes you from the very first locks and keys up to present times. 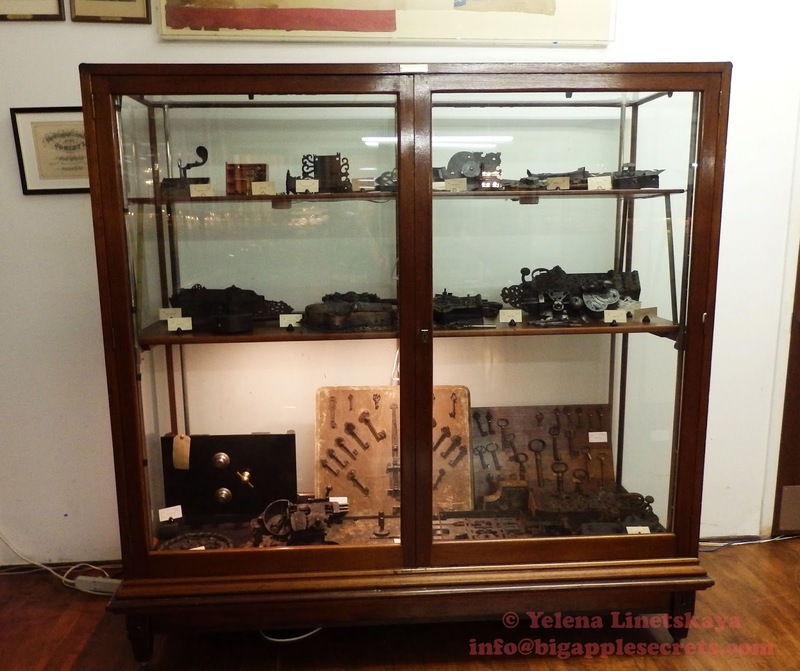 The curator of the Mossman Lock Collection said: "The people who made these locks expressed their artistic creativity as well as their mechanical genius. What is so unusual, is that they exhibited such exquisite craftsmanship despite knowing that few people would ever view their work behind bank doors." 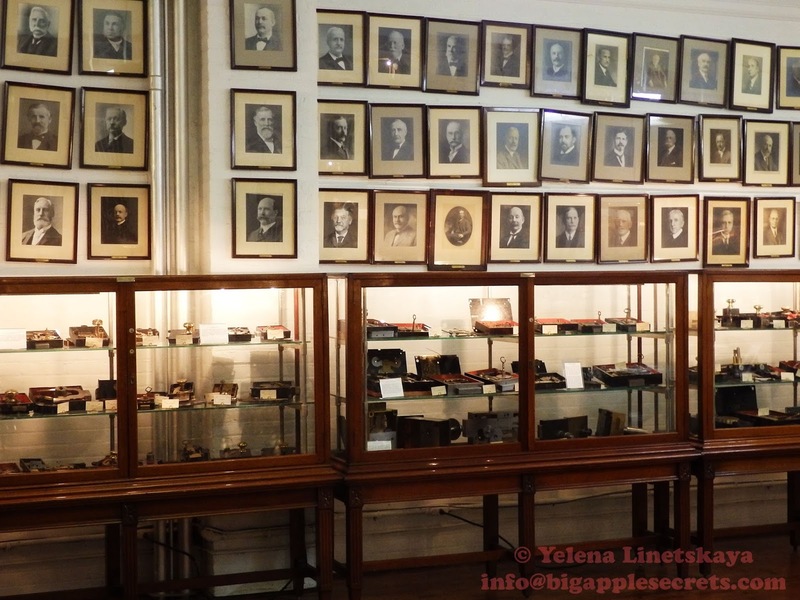 Admission to The General Society’s Mossman Lock Museum, which houses the Collection, is a suggested $10 per person. I visited this museum during New York Open House weekend, when a lot of places usually closed for public, were open.